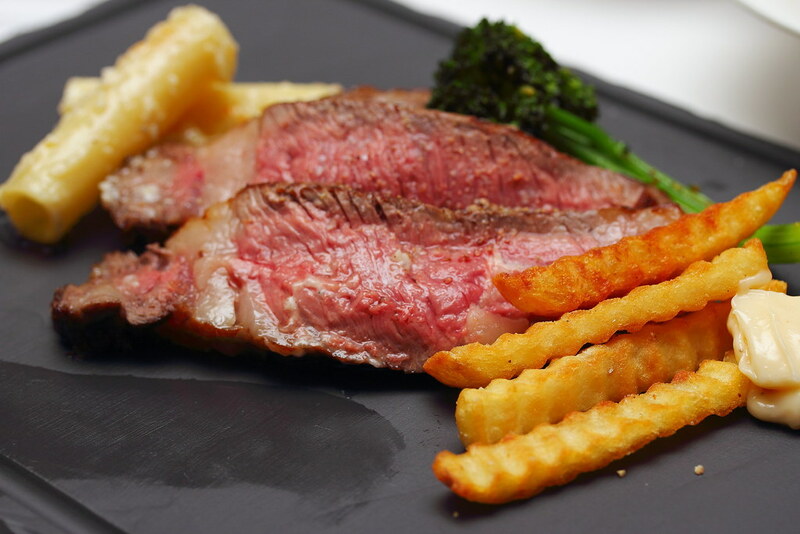 Having dine at the various restaurants at Raffles Hotel on numerous occasion, I am kind of ashamed that I did not know that there is a steakhouse at Raffles Hotel. 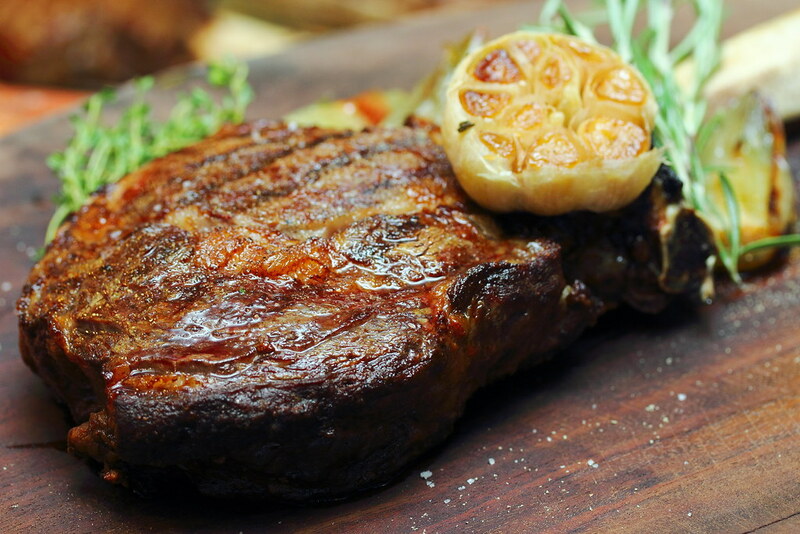 Located just adjacent to the iconic Long Bar that created the Singapore Sling, is Long Bar Steakhouse helmed by the restaurant's steak expert Chef de Cuisine Kenny Chung. Currently Long Bar Steakhouse is having a Tomahawk Special from 5 October to the end of the month. 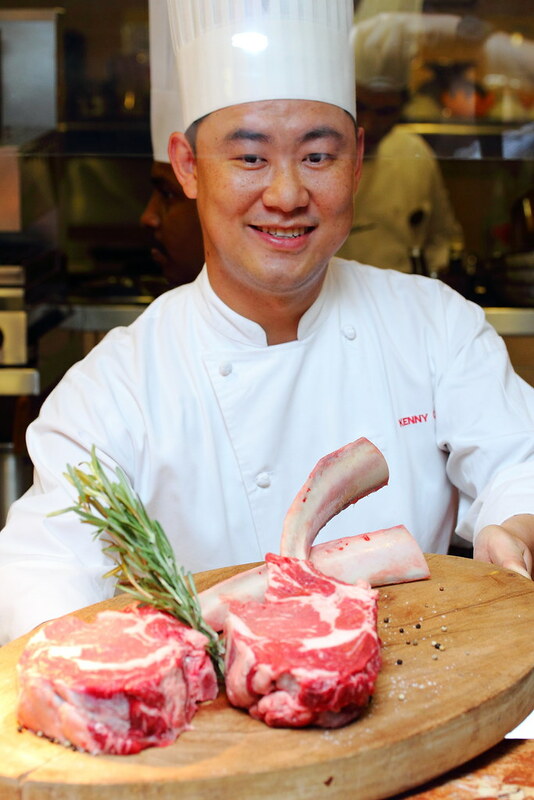 Chef Kenny Chung has specifically chosen the chosen to use the grain fed tomahawk airflown from Australian for its better marbling over the grass fed counterpart. 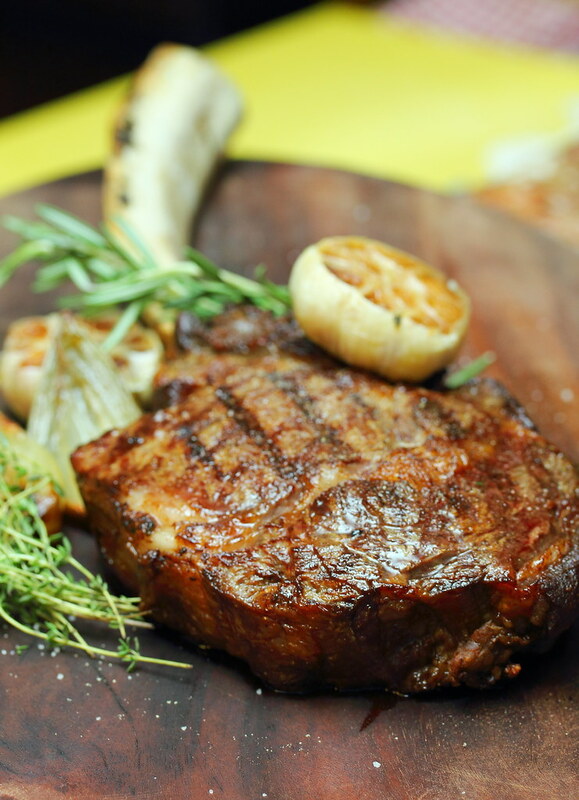 The on-the-bone ribeye weights 1.7kg and its around 2 inches thick. 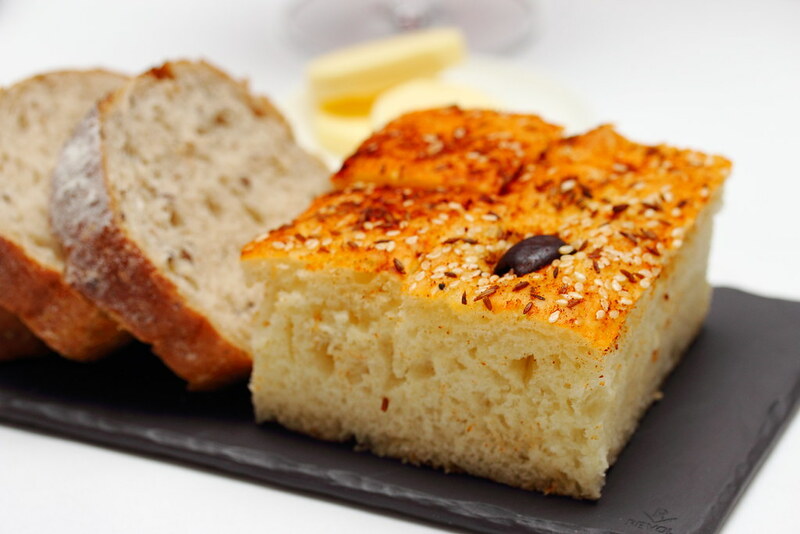 Before starting our dinner, we were served some complimentary bread to kick start the dining. Unfortunately I was a bit disappointed that bread is not served warm. 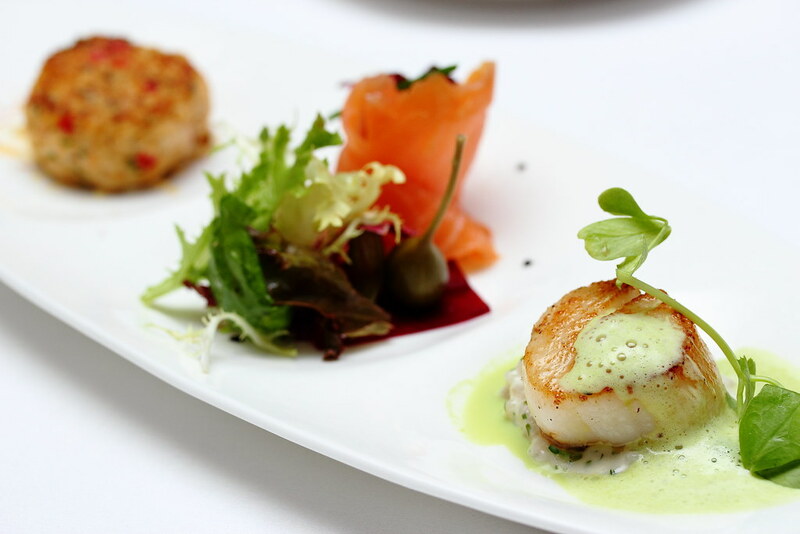 Next we have a trio of appetiser from the Long Bar Steakhouse Sampler consisting of Seared Scallop, Scottish Smoked Salmon and Dungness Crab Cake. The plump scallop is beautifully seared locking in the sweetness. The saltiness of the smoked salmon is cleverly balanced with the thinly sliced beetroot and greens. The crab cake has a hint of spiciness. 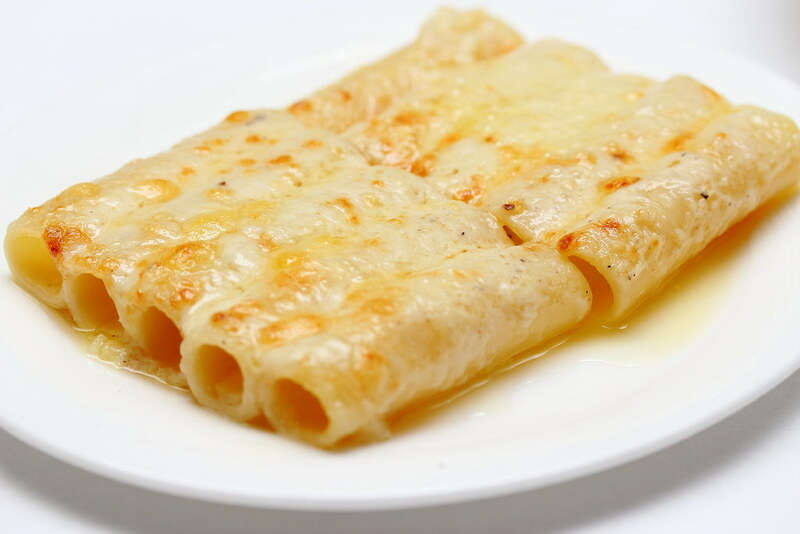 However I find the texture a bit too mushy. 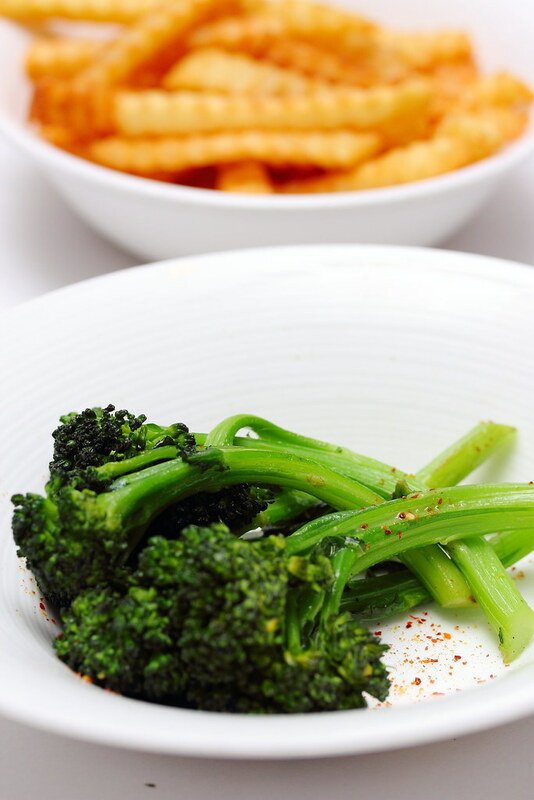 To go with the tomahawk, we have a few accompanying sides like Macaroni Zita with Comte Cheese, Sauteed Broccolini and French Fries with Truffle Salt. The highlight of the night has to be the Tomahawk ($265++ for 1.7 kg) that is cooked to medium rare. It is simply seasoned with just salt and pepper with no marination. The beauty pinkish meat is put on the grill for 5 minutes on each side, then it is placed in convention oven before finishing it in a pizza oven to get that exterior crust. The tomahawk is then allowed to rest for about 10 minutes to lock in all the juiciness before before cut and served. Each tomahawk can served up to 2-3 pax. The waiter offered me mustard to go with the meat but I declined as the beef was already so favourful and juicy on it own. Wrapping up the dinner is the Cheese Cake with mixed berries and raspberry sorbet. 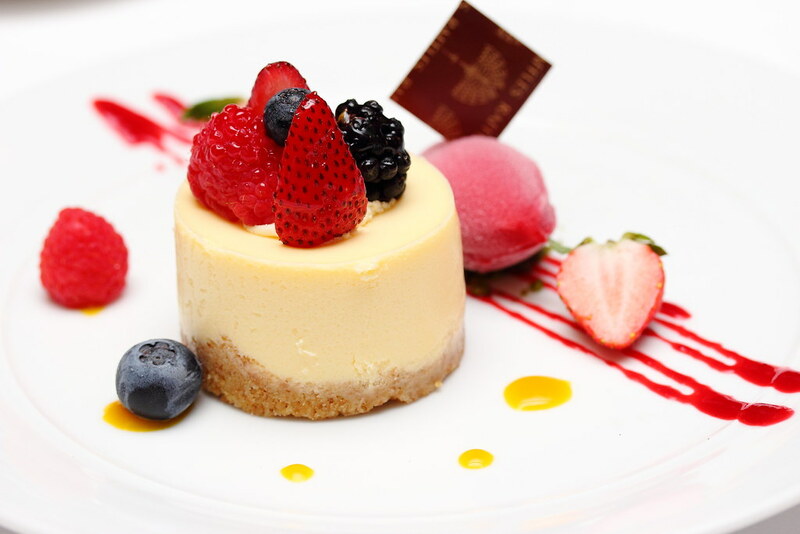 The smooth and creamy cheese cake ended the night on a perfect night. The Long Bar Steakhouse Tomahawk Special is only available from now until end of the month. If you enjoy a good piece of steak, you may not want to miss this as it is only available for a limited period.